The Roman took Sirmium in around 14 BC. In the 1st century AD, Sirmium gained a status of a colony of the citizens of Rome, and became an important military and strategic center of Pannonia province. In 103 Pannonia was split into two provinces: Pannonia Superior and Pannonia Inferior which Sirmium became the capital of. 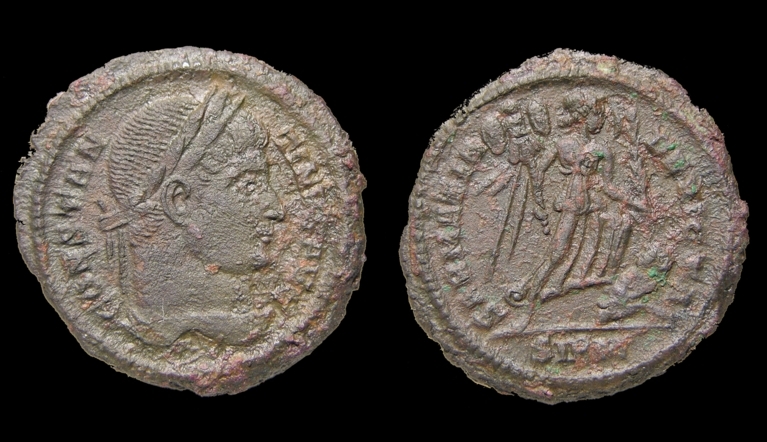 In 293, with the establishment of tetrarchy, the Roman Empire was split into four parts; Sirmium emerged as one of the four capital cities of the Roman Empire, and was the capital of emperor Galerius. From the 4th century, the city was an important Christian center, and the seat of the Bishop of Sirmium. The city also had an imperial palace, a horse-racing arena, a mint, an arena theatre, and a theatre, as well as many workshops, public baths, temples, public palaces and luxury villas. 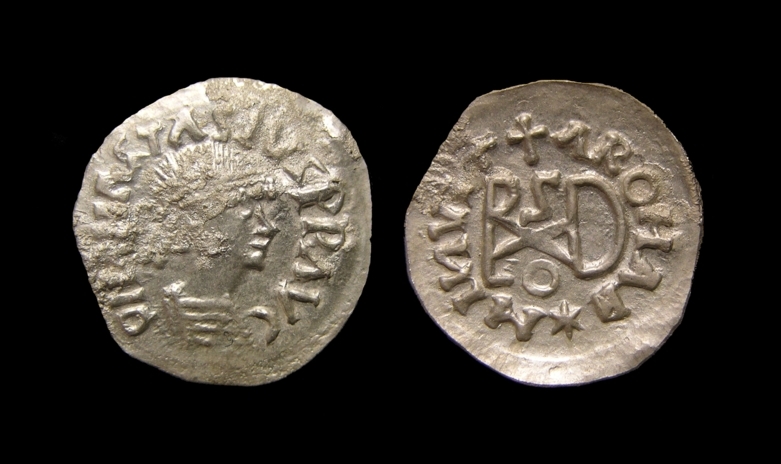 The mint in Sirmium was connected with the mint in Salona and silver mines in the Dinaric Alps through the Via Argentaria. At the end of the 4th century Sirmium came under the sway of the Goths, and later, was again annexed to the Eastern Roman Empire. In 441 the Huns conquered Sirmium; it remained for more than a century in the hands of various other tribes. After 567, Sirmium reverted to the Eastern Roman Empire. The Avars conquered and destroyed the city in 582. Obvs: FL IVL CRISPVS NOB CAES, bust laureate head right. Obvs: D N ΛNΛSTΛSIVS P P ΛVC, pearl-diademed, draped, and cuirassed bust right. Revs: star M INVIΛ A ROMA D, Theoderic monogram; cross above.